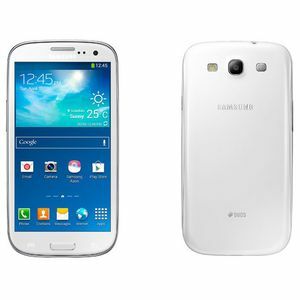 The Samsung Galaxy S3 Neo was released in April 2014, and is essentially a Samsung Galaxy S3, except that it ships with Android 4.4 out of the box. The Samsung Galaxy S3 Neo features a Qualcomm Snapdragon 400 quad-core 1.4Ghz processor (1.2GHz in some regions), 2GB of RAM and 16GB internal storage. The 4.8" Super AMOLED display has a resolution of 720 x 1280. It has an 8MP shooter, with additional 1.9MP front facing camera, and is powered by a 2100mAh battery.